I probably posted both of these before, but those were scanned from 4 X 6 photos. A while back I came across a box with several hundred 8 1/2 X 11 color images and another pile of about 600 or more 8 X 6 photos. 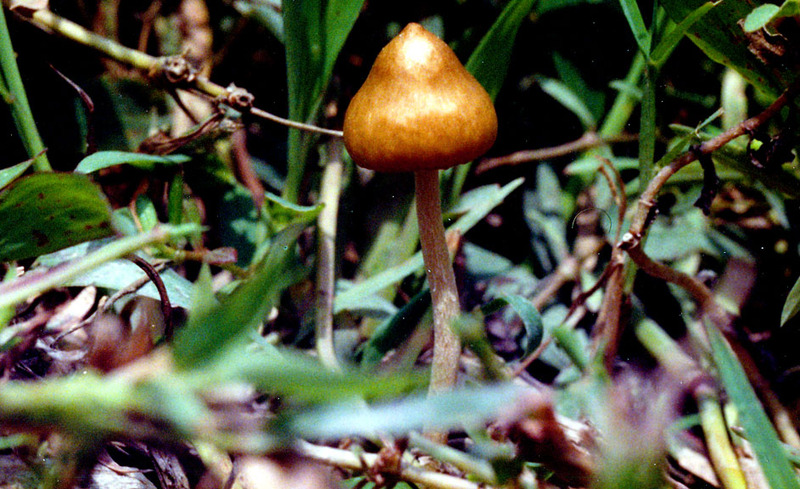 SO these were large, I scanned them at 300 DPI and then cropped the shrooms to fit the 7 1/2 inch high for the web. 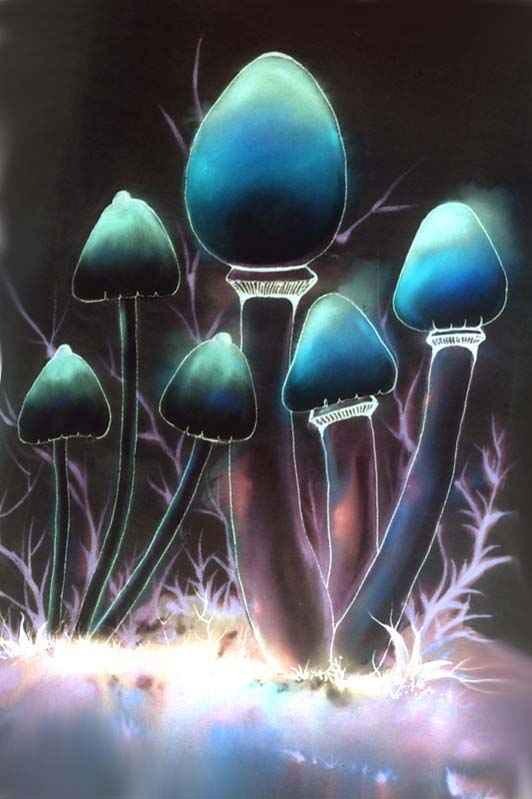 This is the cube image I used to create the art for the Black Light Cube and Samuiensis paintings by Wipaporn of Koh Samui. I just took the images of my shrooms, colored them in Illustrator and used Gradient designer in KPTS 3. And then Wipaporn painted what I created in Photoshop and other programs. 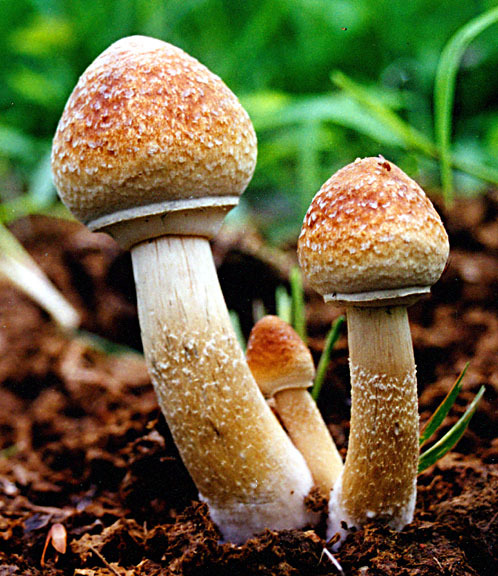 The P. samuiensis is one I think I have not posted but I cropped it from a gigantic photo so I could get as much of the shroom into the same range of 7 a/2 to 8 inches in height. So here they are. Here is one of those T-Shirts. There were over 4 dozen altogether of this black version and then 2 dozen all white t-shirts in reversed color. They were among a few hundred different ones ordered and hand-painted between 2004 and 2007 for me. I did not locate the original P. samuiensis image that was used along with the cube photo above to create the shirt I made from the two photographs until I had what looked really cool. I had 2 dozen made exclusively for another shroom site that had a magazine for four issues and the mag folded. That is a t-shirt. I cropped the color and sleeves off so you could see the art. IT is hand-painted and if you wish to see such shirts. Here is a link for over 200 hand-painted t-shirts. Or maybe less. 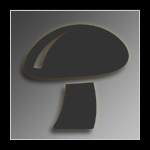 under mushroom art at my website. 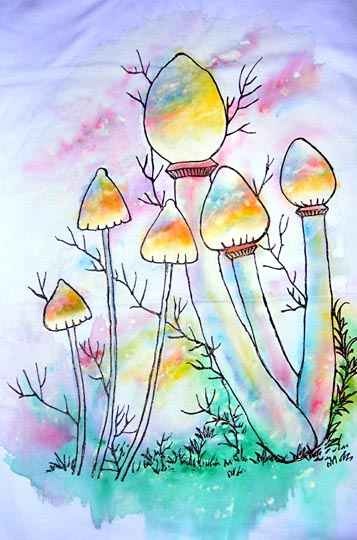 there are also in the mushroom art index hundreds of other similar shroom art images by me and batiks, patches, pens from Russian and pen holders from Thailand that are shroom shaped. etc. 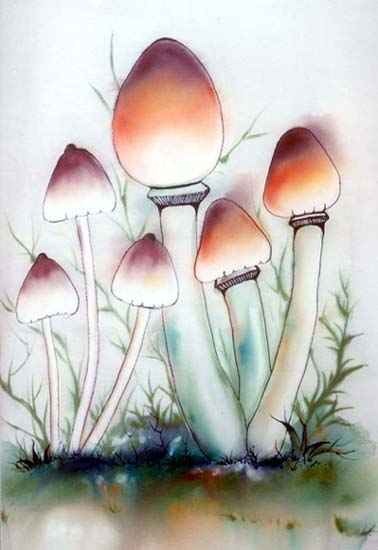 Including Amanita art and t-shirts. Ande, by the way, each shirt designed by me and painted by Wipaporn were similar for the shrooms but the colors varied from shirt to shirt. Here is a white version of the same black shirt above. Edited by mjshroomer, 08 July 2013 - 12:46 PM.